A while back I was contact by Dorcy to review their L.E.D. Headlamp. Of course being an outdoorsy sort and avid trail runner, I said, "sure, I'd love to give the headlamp a test spin, I'm always looking for a good solution to running trails in the dark". 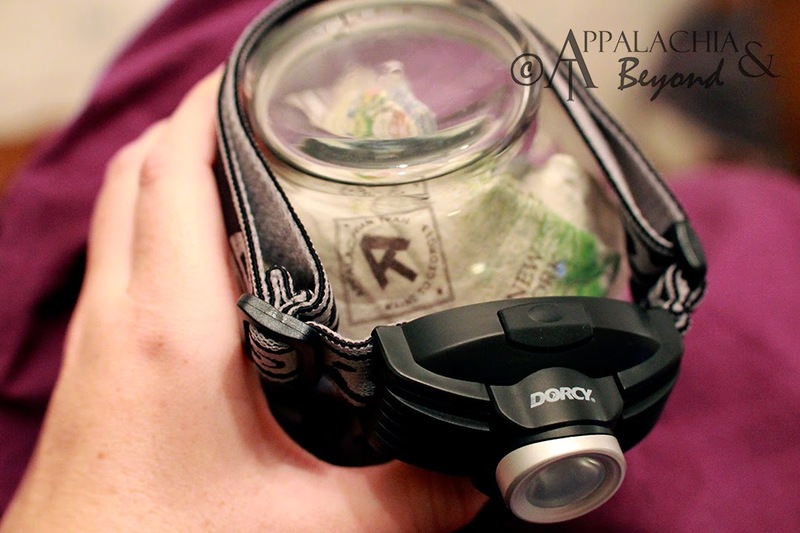 A few weeks later a small pack arrived in the mail and in it was the headlamp and a fresh pack of AAA batteries. It didn't take long before I had the torch out of the package to fiddle with it. I found it to be very simple to operate. It has a single button with 3 press operation for it's different modes. One press full high power flood, 2 presses provides you with a low power flood and three presses you get a high powered strobe light, perfect for disco dancing. The light is on a swiveled panel allowing for 50 degrees of pivot up and down for beam direction. 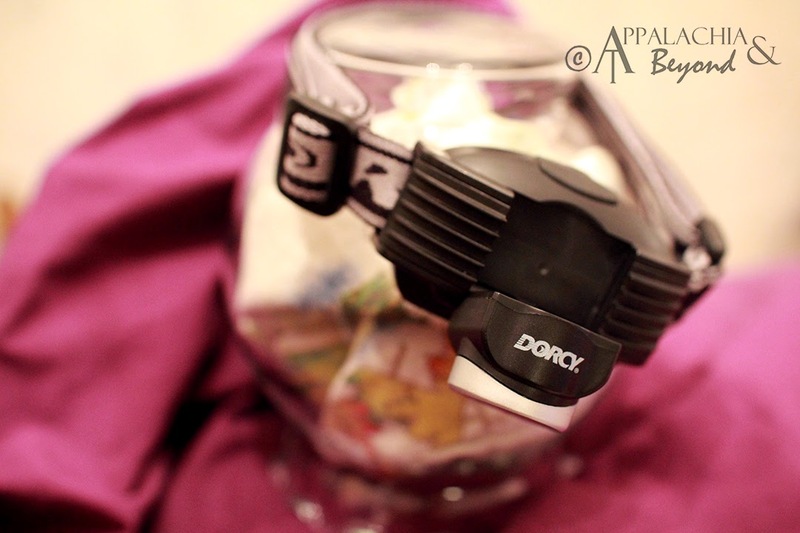 It also has a frosted lens and an adjustable head band. There is no focus on the lamp itself, some lamps allow you to focus the beam from wide flood to small spot, this one does not. The Dorcy L.E.D. 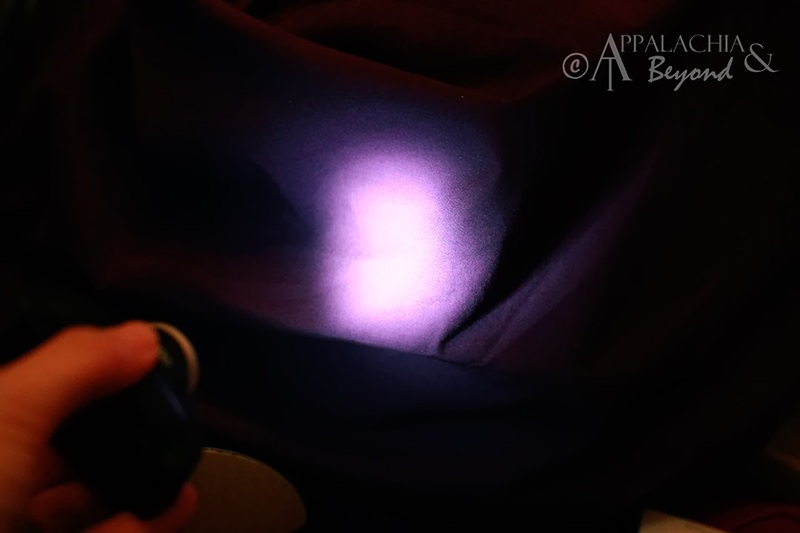 headlamp is also rated at 120 lumens at high power and using 3 AAA batteries to operate, will last up to 12 hours. Light distance at high power is roughly 48 meters. That's about it in a nutshell for the lamp. Since receiving it, we've used the lamp in various different settings. I've used it on trail runs, both on my head and strapped to my running vest to provide a below the eyes beam in conjunction with another lamp on my head. 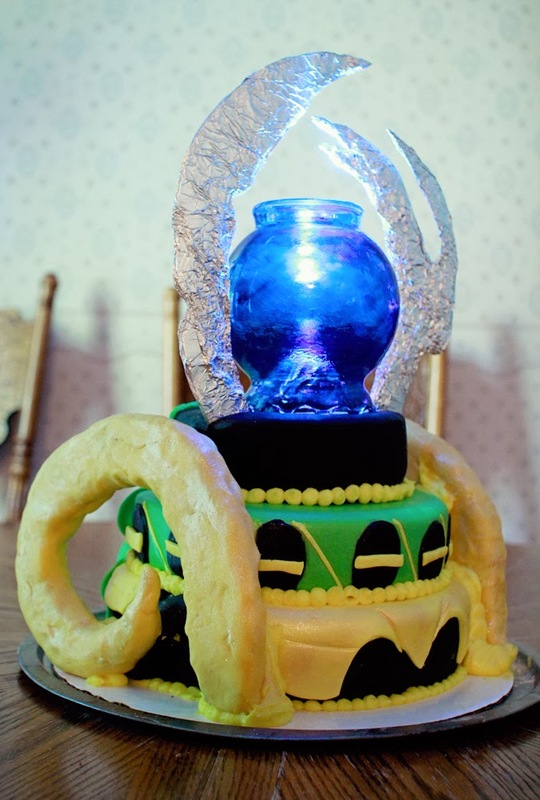 It's also been used as part of a cake topper for the Kiddo's birthday cake. Yes removable of the lamp from the headband is pretty simple. It was brilliant for the cake. If there is one drawback to the lamp, it is the quality of the plastic nibs that allow for the easy removal of the headstrap. 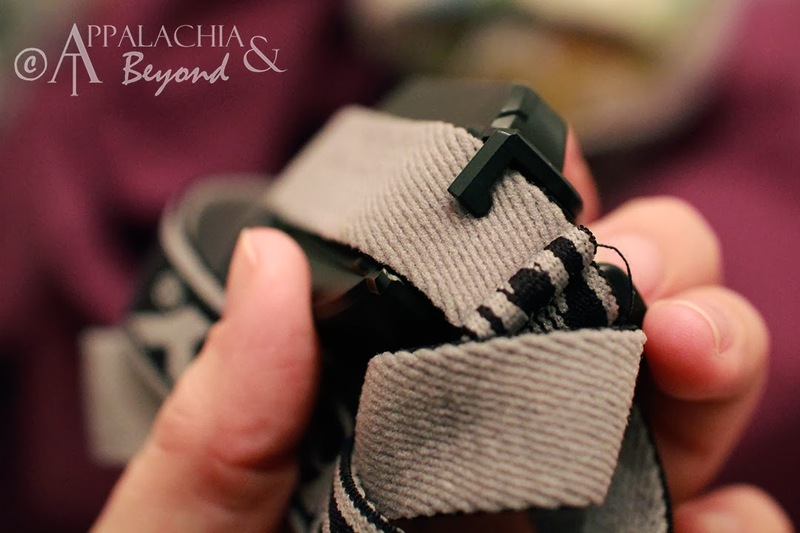 While making it easy to take the light off the strap and attach to other straps (i.e. my running vest's chest strap) it appears that the strength of the plastic is not that great or I'm just a hulk. While running one early morning, I had the lamp attached to my chest strap. I was nearing the end of my run and had just come off a downhill jaunt to which my vest had loosened a bit and was a touch bouncy. I grabbed the end of the chest strap to tighten it a bit and the top nibs on both sides of the lamp for strap attachment had broke off. I was bit bummed by this because I would have to go back to the drawing board on a below the eye light mechanism for night time trail running as I do not like to run with things in my hands. 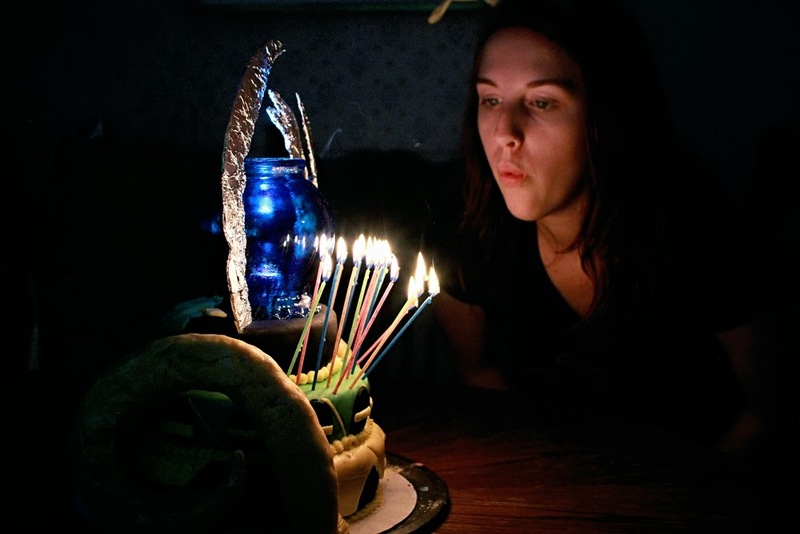 The light itself still works and is useful for other things if you don't want it on your head, like the aforementioned cake topper and to light a room during a power outage. Overall, the Dorcy L.E.D. 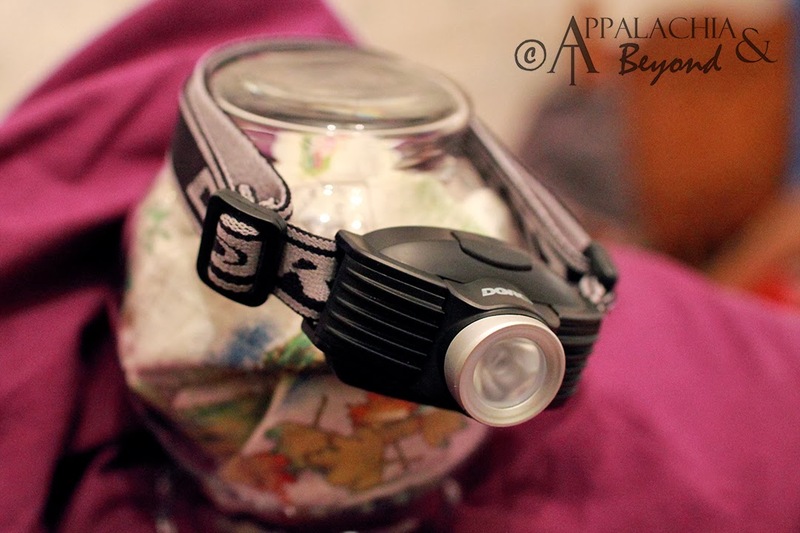 headlamp is a simple easy to use lamp perfect for lighting cake tops and wearing on your head for camping, hiking, and trail running. Product Dimensions: 2.75" W X 1.50"
Disclaimer: Tim received the 120 Lumen Headlight Broad Beam for review purposes only. Appalachia & Beyond is in no way being compensated by Dorcy for this review. The opinions expressed above are Tim and Robin's independent thoughts and experiences.